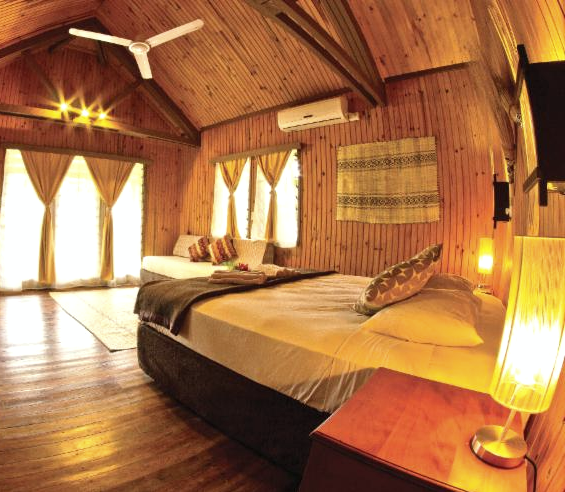 Waidroka Bay Resort has refurbished all Bures, with the main focus on comfort & style and creating a more Fijian look & feel. the aim was to use natural light to help create a cleaner and fresher look with the emphasis on more comfort. These changes have been implemented across all Deluxe Ocean Front Bures and have proved to be a winning concept creating a fresher and cleaner look & feel whilst continuing the Fijian atmosphere emphasized throughout the resort. Located on the main island of Viti Levu in Fiji just a couple hours from the airport, Waidroka Bay Resort is a private boutique dive & adventure resort easily reachable and convenient for travel, however located totally secluded in the midst of the rainforest right on a own private lagoon just opposite Beqa Island. 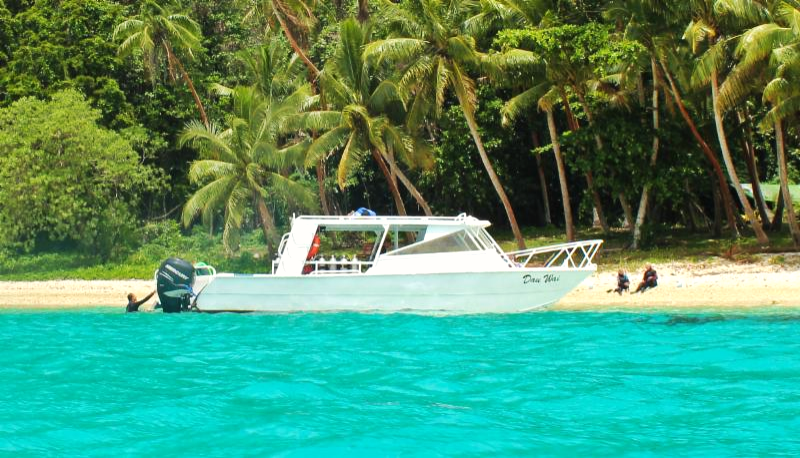 It is only minutes from some of the best diving and surfing that Fiji has to offer. You can even do the famous bull shark dives in Beqa on the Dau Wai (Water Expert). The Dau Wai, Waidroka's newest group dive boat. Waidroka's newest dive boat, the 35' Dau Wai with twin 300HP engines is faster, sturdier and bigger! It is constructed to hold up to 22 divers at a time. The successful launch of the new boat has contributed to Waidroka's ability to go further and faster with more divers on the boat, whilst staying super comfortable! 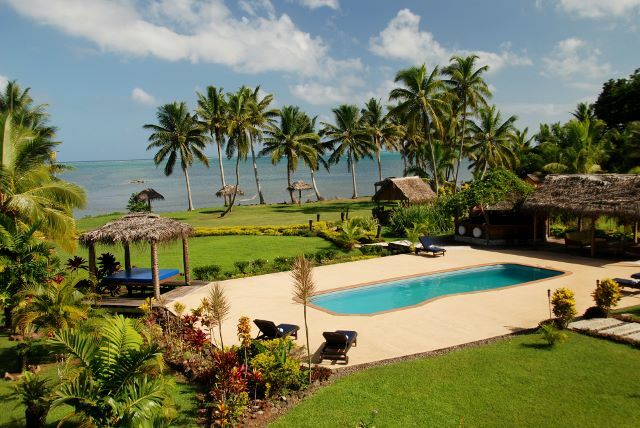 To celebrate, Waidroka is offering 20% off the 2nd diver on both their "Ultimate Dive Adventure Fiji" special and their "Waidroka 5-night" special for bookings by 30 June 2015 and all through travel by 31 March 2016. Email us at info@bluewaterdivetravel.com to take advantage of these great specials. Bluewater Travel can book you on any trip to Waidroka Bay Resort for the same cost or less than booking any other way. We know the cabins, and when to go better than anyone else! Email us at info@bluewaterdivetravel.com and tell us that you read this article to get a special price for your next dive trip.